If you’ve ever had a bouncer’s greasy paws ruffling through the contents of your purse before stepping foot in a club, you probably found yourself wishing they had x-ray vision so to avoid the whole process. Well, it turns out the latest craze sweeping over high fashion achieves this effect in a much cuter way. 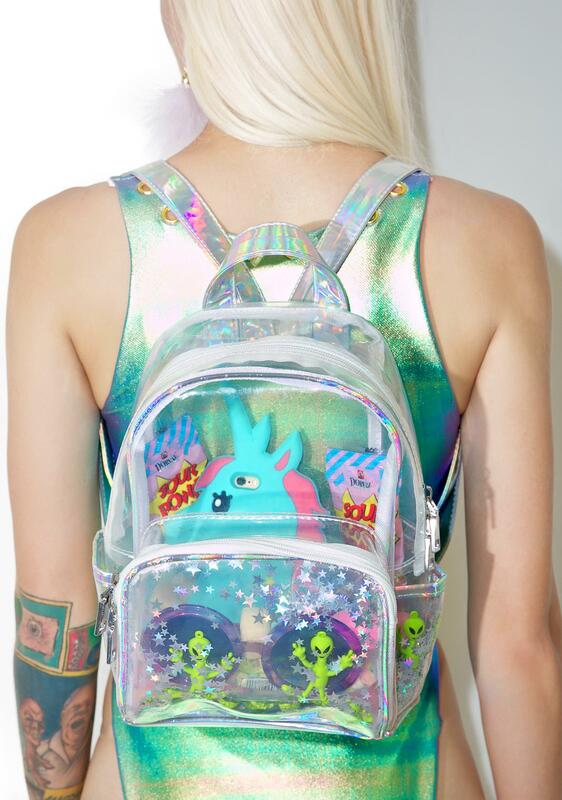 I am of course talking about see-through handbags. Dubbed the naked handbag trend, this inventive take on the typical handbag worth seeing through (pun intended). This Margiela tote is one of my favs because of the faux-pearls enclosed in its surface achieve a super interesting trompe l’oeil effect. The cut-out handle reminds me of the plastic shopping bags offered at boutiques (much like the Céline plastic bag that rocked the Spring 2018 fashion set), making for a hybrid between tossed-off utility item and high fashion accessory. But since you can’t sling this bag around your shoulder, I would reserve it for outings where your bag is used more as a conversation-starting centrepiece rather than a an actual functional mode of transport for your belongings. Besides, you wouldn’t want the impact of those pearls to get lost among the crumpled receipts and other miscellaneous junk that, if you’re anything like me, will eventually accumulate in your everyday purse. That being said, the bag itself is pretty large, so if you at some point decide go into full-on shameless mode when it comes to showing off your belongings, this might just be the naked handbag for you. This MSMG take on the naked handbag trend is another win because if its convertible styling options: it includes both a shoulder strap and carry handles, offering versatile wearing options. 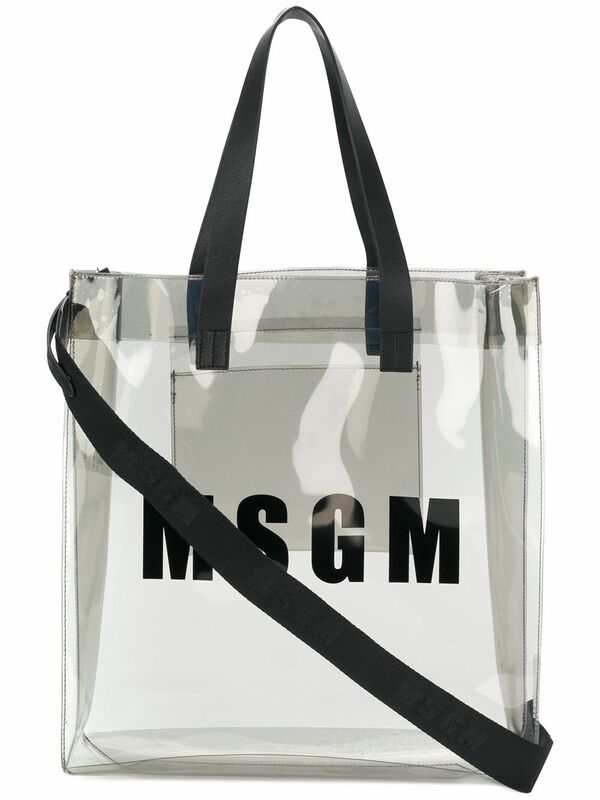 MSGM’s tote is also relatively small in size, which is crucial for nights out when you only really need to bring the bare essentials (pun intended take 2). This makes for some super cute styling options, but IMO this kind of naked handbag is better suited for daytime styling rather formal contexts seeing as PVC does always give off a slightly juvenile, slightly early 2000’s raver vibe. That being said, if that is the kind of look you’re trying to pull off during an evening out on the town, I’d say this MSMG back is a clear winner. This Alexa Chung take on the naked handbag trend is a more affordable update on the trend, and its minimal features and roomy construction . But the key feature here is its front postcard, which can be switched out and replaced with an image of your choice. This opens up a window of possibility with what it can be replaced with. Your business card? A picture of your dog? Your best selfie? Ok maybe not, but the fact that this bag gives us these opportunities makes it one of my top picks. As you can see, the naked handbag trend has taken TSA-plastic-bag vibes to the big leagues, and there are no shortage of options on the market to suit your preference. Have a look for yourself and take part in what will no doubt be one of 2018’s defining fashion moments.